Chase and I met nearly four years ago, just as high school was ending. It was a stressful time in our lives because we were trying to make our first real-life decision, where to go to college. I was nearly set on the University of Arizona, and Chase was almost fully enrolled at Northern Arizona University. As I went on and on about the engineering program at the U of A, Chase began to think about applying (he applied the last possible day!) and we went for a visit. Eventually he made the choice to also attend the U of A, a choice I thought was based on the programs and wealth but in reality he wanted to be with me!! Fast forward four years later and we have experienced something so special together, four years at the University of Arizona. We have been to countless football, basketball, and baseball games. We have lived in the dorms, joined clubs, and been inside of nearly every building on campus. One major landmark we had yet to visit was "A" Mountain, until last week. I was taken up to "A" Mountain for the first time on Feb. 7, 2014 under the assumption that I was doing a photo shoot for a friend of a friend. Turns out, Chase has planned the biggest event of my life, our proposal! Up on the top of "A" Mountain, he asked for my hand and I said yes!!!! 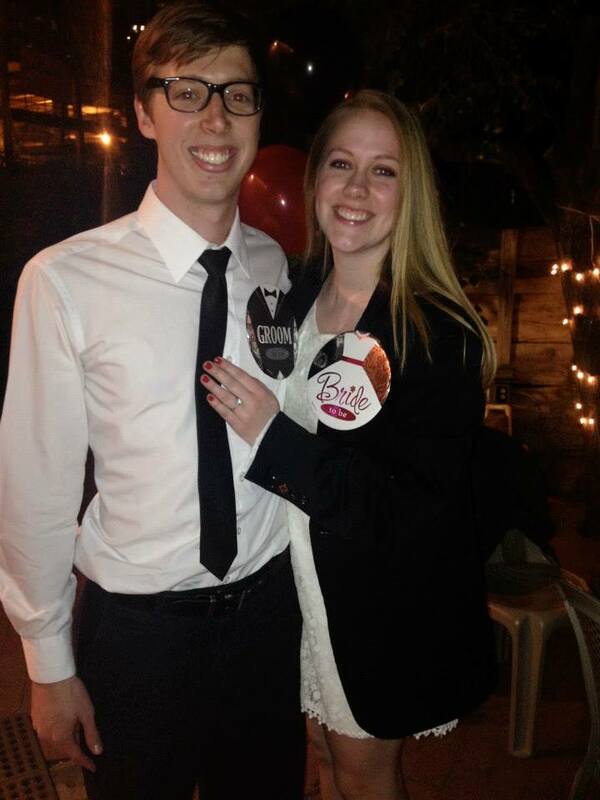 Now we get to graduate from the U of A College of Engineering as an engaged couple! 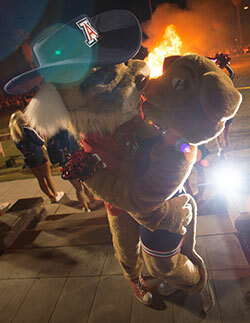 We are looking forward to our future but remembering it all began with the choice to come to the University of Arizona.